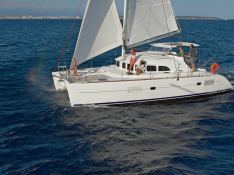 The Lagoon 380 accumulated hours of experience on the seas of the world. 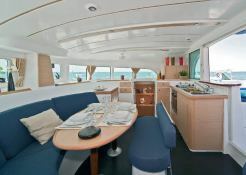 This catamaran for rental from Praslin will make you discover the wonders of Seychelles like Mahe, Silhouette, La Digue or Curieuse islands. 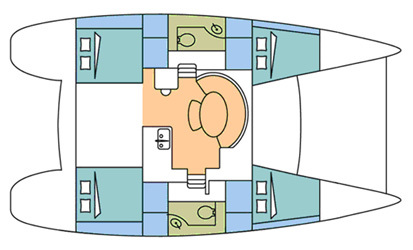 Available in Praslin and Seychelles, Seychelles, this bareboat catamaran Lagoon 380 (4 double cabins), built in 2017 by Lagoon Catamaran, is capable of hosting up to 8 guests. 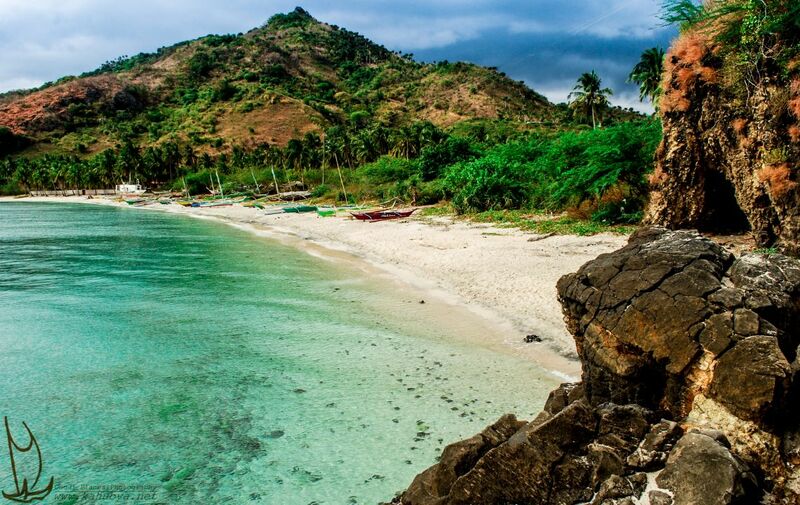 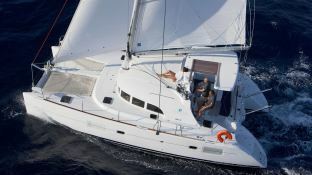 Further more, and for a complete catamaran charter experience, the Lagoon 380 comes with CD. 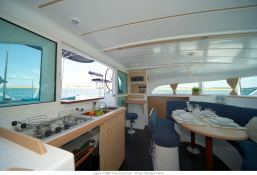 This catamaran is available for yacht charter with a base price of 2 905 € (approximatly 3 276 $).